Freshwater is our most precious natural resource, essential for sustaining all forms of life on the planet. It is essential for providing us with safe drinking water and for irrigating crops that provide us with food. Many industries, including the energy sector, use significant quantities of water. But as the earth becomes increasingly hotter and drier and the global population increases, so too is the demand for water. Consequently, water scarcity is becoming an ever-growing problem worldwide. Yet, so much water literally flows down the drain every time it rains. Impervious surfaces, such as asphalt, concrete or paved roads, trails and driveways, prevent rainwater from seeping into the ground to replenish groundwater in underground aquifers. Instead, we channel this precious water to storm water drains and effectively waste an important resource. Storm water runoff not only poses an increased risk of erosion and flooding. It also washes pollutants such as oil, road salt and chemicals, as well as trash, off road surfaces, transporting them to waterways. Once in our waterways, they can negatively impact aquatic life and contaminate drinking water supplies. Many cities around the world lose more water as a result of storm water runoff than what they pipe in. We need to focus more attention on capturing storm water through natural processes by installing permeable surfaces on roadways. This will allow us to replenish our groundwater resources rather than diverting it to storm water outlets. We’ll be more able to meet the water demands of agriculture, growing urban communities and industry while maintaining healthy aquatic ecosystems that have a rich biodiversity. Porous surfaces allow water to permeate into the soil rather than wash off the surface. The soil acts as a natural filter, breaking down and removing pathogens and pollutants that may be present in the water as it filters through the soil. Thus, we can keep the groundwater free from contaminants. It also provides a natural source of irrigation to the surrounding soil, alleviating the need for additional water use for irrigating lawns and gardens. Building sustainable cities is important if we wish to build resilience to climate change. Sustainability development initiatives that incorporate permeable surfaces will help conserve water and improve overall sustainability of urban areas. Roughly 20% of the world’s groundwater aquifers are over-exploited. 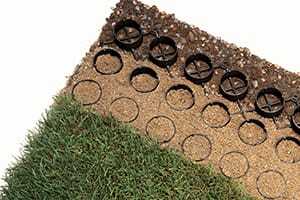 Installing permeable surfaces allows water to soak into the ground to replenish water stored in underground aquifers. This is key to improving water security, particularly during extended periods of drought. 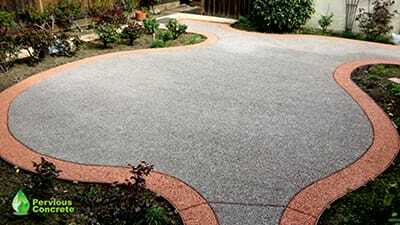 Permeable Surfaces: What are the Options? 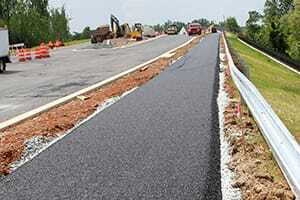 Conventional surfaces such as asphalt and concrete are widely used for travelled surfaces. Yet water cannot penetrate through these impermeable surfaces to recharge underground aquifers. Instead, it washes off road surfaces, contributing to storm water and its associated problems. But this need not be so. 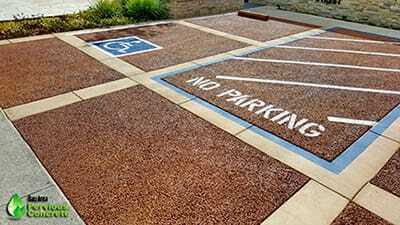 Permeable surfaces that provide a porous surface are rapidly gaining traction as an environmentally-friendly alternative to impervious surfaces. This typically consists of a permeable paving material that is installed on top of a gravel bed which serves as a reservoir. This allows water to filter through the soil, removing pollutants at the same time. 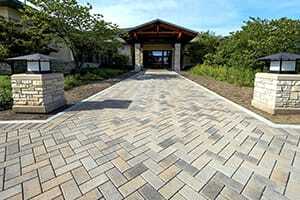 With the evolution of technology, the options for permeable surfaces are no longer limited. 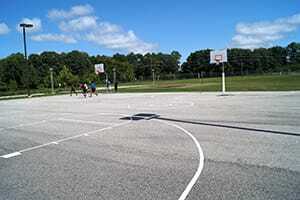 Some of the more common options for permeable travelled surfaces are outlined below. 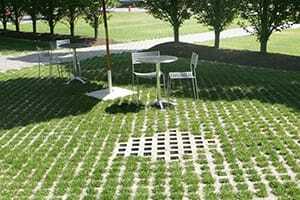 Permeable paving stones designed to have larger joints can be laid on top of a layer of sand and gravel. 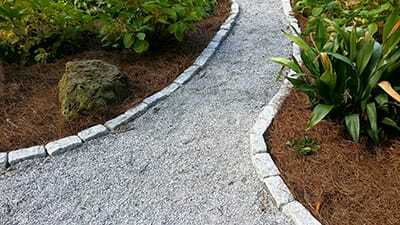 Leaving a gap between each paver allows water to infiltrate the gravel bed into the soil below. The gaps are filled with clear crushed stone chips to create a high level of porosity. Because permeable pavers need to serve as both a water-absorber and a load-bearer, they need to be interlocking but still have sufficient gaps to allow water to pass through. 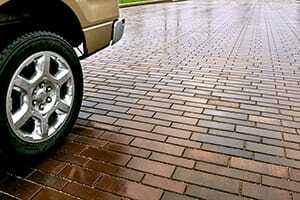 While permeable pavers are a man-made, unnatural surface, they are aesthetically pleasing. They come in a wide range of colours, styles and designs, allowing you to achieve the look you desire. However, they are expensive to install as proper engineering is key if they are to function efficiently. The difference between permeable asphalt and conventional asphalt is the sizes of the aggregate particles they contain. 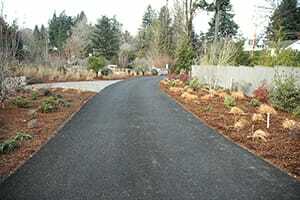 Permeable asphalt does not contain small aggregate particles in the mixture. It consists of only larger aggregate particles which leave spaces in the asphalt that make it porous. These large voids result in a very favourable permeability rate that allows the water to pass through quickly. Like its conventional counterpart, permeable asphalt is an unnatural surface and is not particularly attractive. Permeable asphalt is also susceptible to damage if not properly maintained. 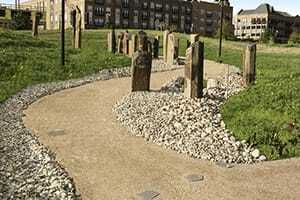 Routine maintenance involves vacuuming gravel and grit from the surface using an industrial vacuum-cleaner. If the surface is not regularly maintained the pores can become clogged and the surface will lose its permeability. 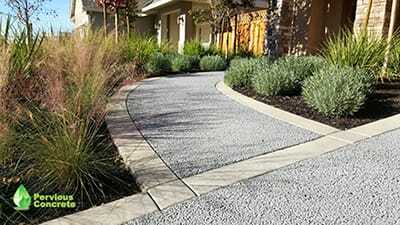 Like traditional concrete, permeable concrete consists of cement mixed with coarse crushed aggregate and water. But it contains very little (if any) sand, giving it an open-cell structure that allows water to pass through. 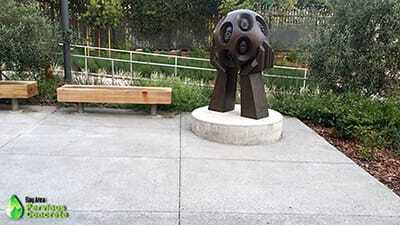 The ability to add pigment to the concrete allows for a broader range of design options. But when repairs are needed to damaged areas, the maintenance can be costly and very difficult to conceal. It is very effective for storm water capture as it can take in the water at a rate of hundreds of inches per square foot per hour. As a result, it performs favourably in applications in parking areas. 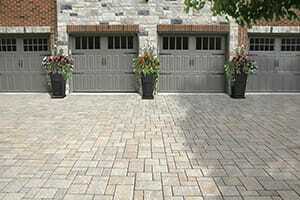 Permeable concrete is durable and can be cost effective to install. Permeable Concrete also provides an unnatural surface which can create a conflict when placed in a natural setting. 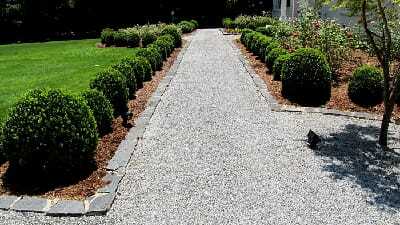 Loose crushed stone or gravel is the cheapest material to use for permeable surfaces. It is a natural looking surface that blends in well with the environment. 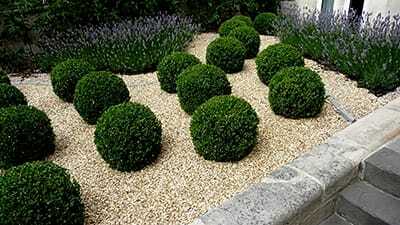 This has made it a popular landscaping choice for use on pathways and driveways. However, because of the risks of erosion and displacement, it is not suitable for use on slopes or travelled surfaces that receive heavy traffic. The result can be a very costly and ongoing maintenance issue. Grass paving offer an aesthetically pleasing, natural looking porous surface that resembles a lawn but it is more resistant to vehicular traffic and erosion. Soil-filled open cells in these provide a planting area for grass. 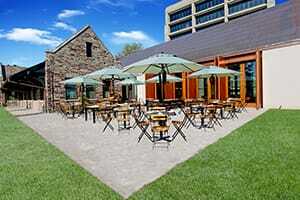 Grass paving is suitable for light traffic areas such as driveways and parking areas. For surfaces that receive heavy traffic, you can fill the cells with gravel instead of grass. Because grass parking areas reduce heat absorption, this type of paving offers the additional benefit of reducing heat build-up in city environments, a phenomenon known as the ‘heat island effect’. However, while grass paving offers several environmental benefits and look great, they can require high levels of maintenance over time to keep them looking this way. Stabilized aggregate is a mix that typically consists of crushed stone or decomposed granite blended together with a stabilizer that binds the mixture. 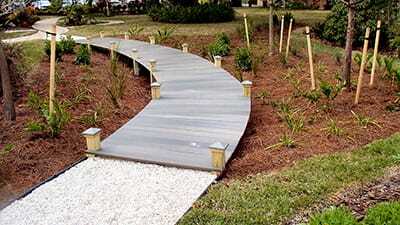 The result is a surface that is durable, natural looking and requires low maintenance. Stabilized aggregate surfaces are extremely resistant to erosion caused by both traffic and weather. There are two different types of binding agents that make up the category of stabilized aggregates: 1) chemical, and 2) organic. You could choose to spray chemical stabilizers, such as TechniSoil, onto aggregate topically. You also could blend liquid stabilizers with the aggregate in order to stabilize it into place. While chemical stabilizers are effective binding agents, they tend to have an unnatural appearance. They also can crack and are often also significantly less permeable than organic stabilizers. Organic stabilizers, such as Organic-Lock, on the other hand, incorporate natural organic binding agents rather than chemical stabilizers. The advantage they offer is that they have a natural appearance, while also being more permeable than chemical stabilizers. When using Organic-Lock product, the manufacturer recommends that you blend it with the aggregate dry. Then blend in a small amount of water to activate the bond before you spread it (often with an asphalt spreader). After you spread the material, compact it with a roller and it immediately starts to work to firm up and resist erosion. It remains permeable and very much natural looking as the top particles actually loosen on the surface. 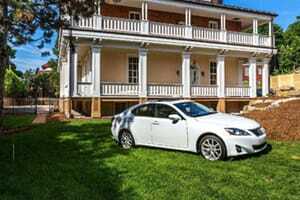 Landscape designers no longer have limited options when it comes to installing permeable surfaces in order to improve the sustainability of their projects. In terms of cost, aesthetics, strength and durability, stabilized aggregates seem to tick all of the boxes for use in a natural and rustic setting. Products like Organic-Lock have a proven track record of performance over time, while still maintaining that natural and rustic appearance. Where a man-made appearance is suitable and large amounts of sitting water is an issue, permeable pavers provide a clean look that includes a high level of porosity when engineered properly. Regardless of your choice, adding a focus on permeability to your surface options will only make things better for the surrounding environment.